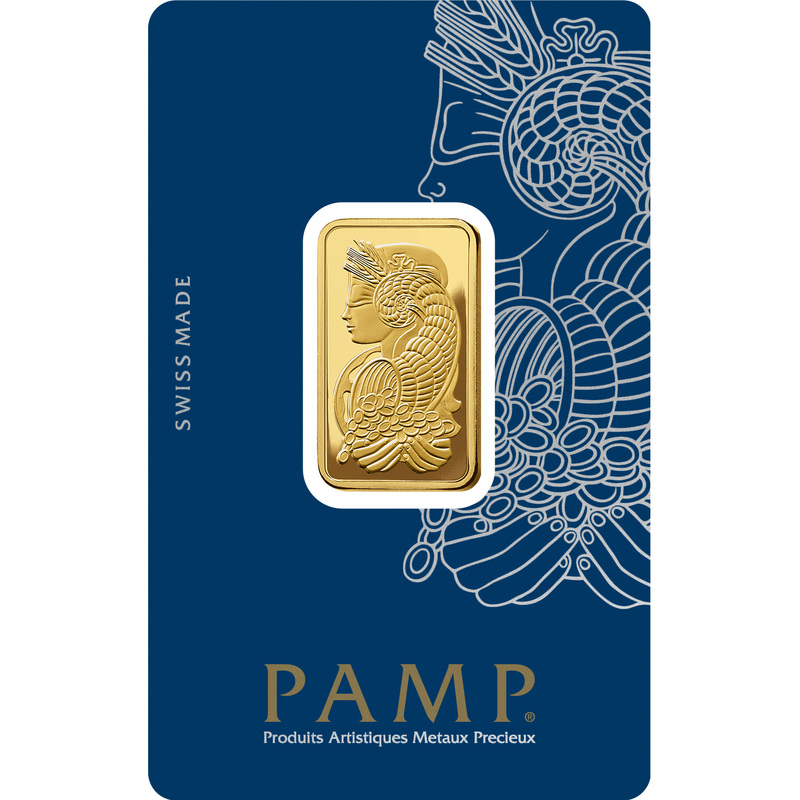 This one-half ounce (oz) gold bullion, or 15.55 grams (g), made by PAMP Suisse is embellished with the goddess Fortuna. It was the first image ever depicted on a gold bar - making it a timeless classic. This is one of the most prestigious investments you could make in the gold industry. 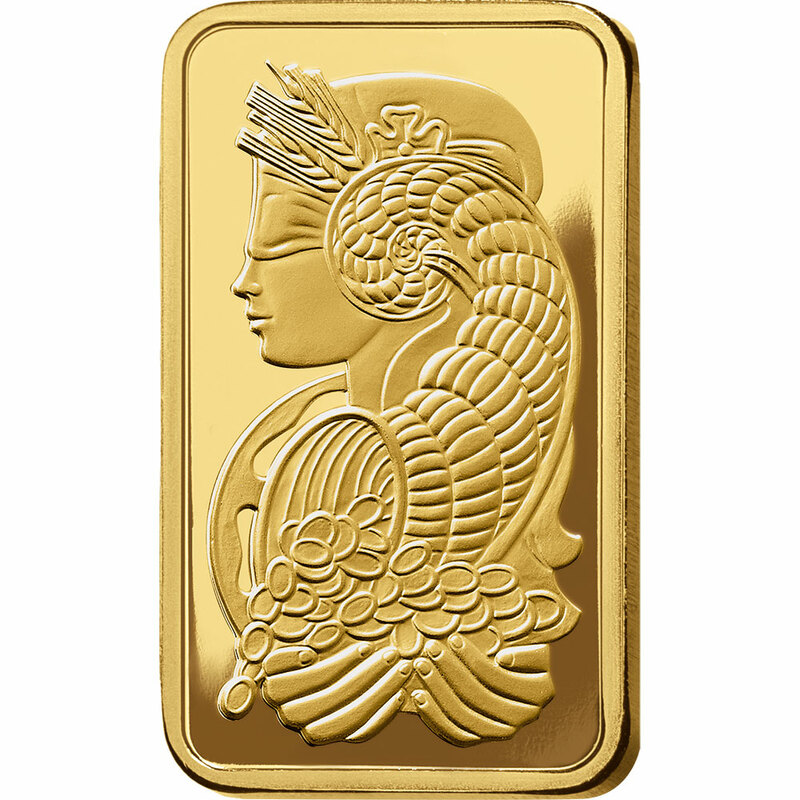 The goddess Fortuna was one of the first personalities to be represented on a gold bar. She is always represented with a conch shell full of gold and wealth. Gold investors will recognize this prestigious gold bar anywhere, and they will seize this unique opportunity to buy this unique gold bar. 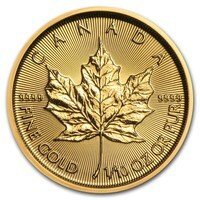 Furthermore, the value and the price of gold have maintained the wealth of gold investors. This beautiful gold bar features the elegant image of Lady Fortuna, the Roman goddess, and the daughter of Jupiter. As always, she is represented with her mythical attributes: the wheel of fortune, and bearing the cornucopia, which spreads the richness of her extended hands. 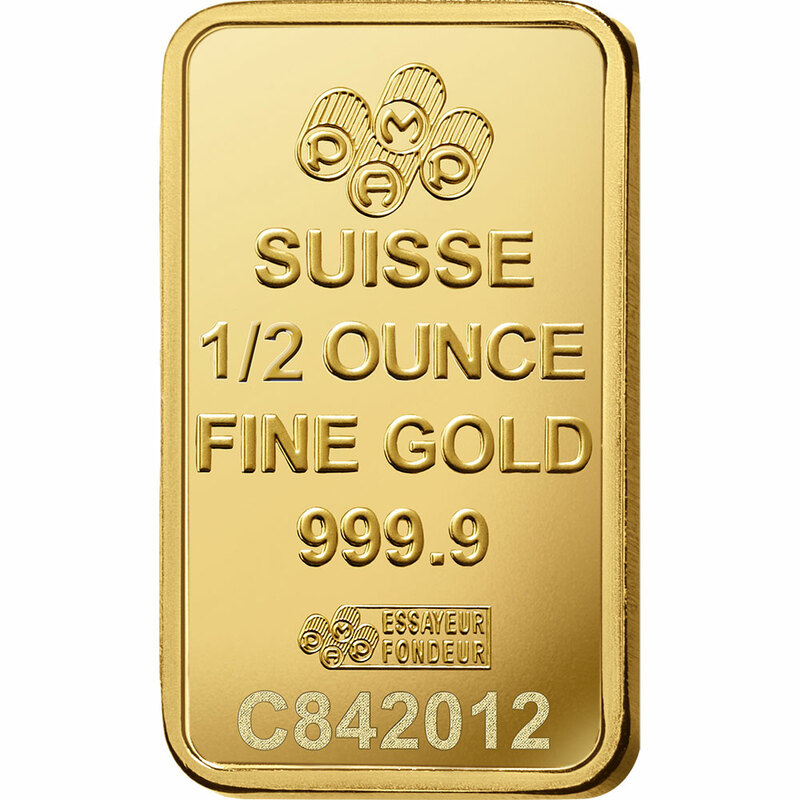 On the other side of the bar, we have important information displayed such as the unique serial number, the weight of the gold bullion and the purity of the precious metal. Please handle your gold bar carefully. We recommend that you use gloves when you handle it to prevent it from getting dirty or leaving fingerprints on the gold bar. We also recommend that you store your investment in a presentation case or an attractive display. 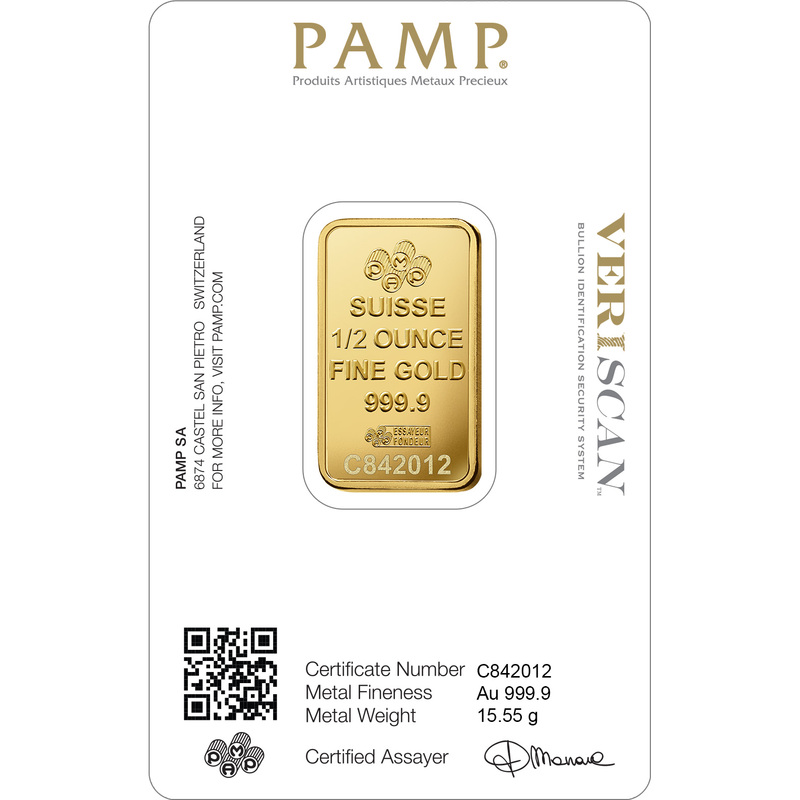 PAMP Suisse is the world leader in ingots, with the most prestigious products on the gold market. Its distinctive Fortuna design is recognized around the world. On the gold bar, the Roman goddess Fortuna, the daughter of Jupiter, is represented with her cornucopia. Fortuna, one of the most beloved Roman goddesses, was the first person to be chosen to be represented on a PAMP Suisse gold bullion.